In a country such as India, which is known for its diverse subcultures, languages, and cuisines, music — whether it is classical, film or folk — is one of the factors that connects people and brings them together, breaking all barriers. While classical music — both Hindustani and Carnatic — has always been associated with elitism, high-brow art and something that is practised by and presented to the privileged, film music is popular among even those who are not trained in music, thus making it an art form that is looked down upon. 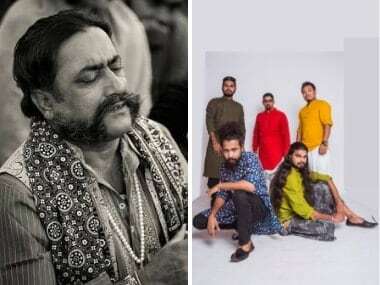 In the midst of these two types of music exists India's folk music, which has long been gasping for breath, despite carrying with itself an indigenous flavour of the land, its people and a historical past. 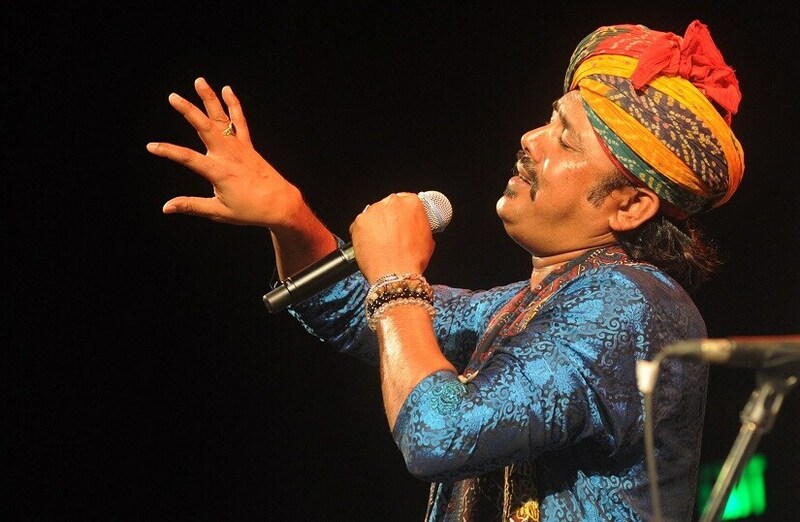 Renowned folk and Sufi singer Mame Khan believes that the folk music existed before anything else. "The root of Indian music lies in its folk music. 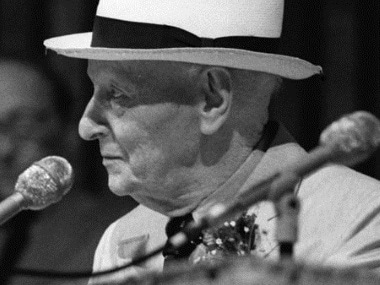 Irrespective of its form, all music is born out of folk music. Of course, today the mainstream media often ignores it, but I am trying my best to keep it alive and enhance its reach." Mame Khan is credited with bringing Manganiyar folk music from the deserts of Rajasthan to Carnegie Hall in the US. A popular name in the folk-music circuit, Khan explains how this art evolved across boundaries and made waves both here in India and the West because of its earthy, ethnic tunes. 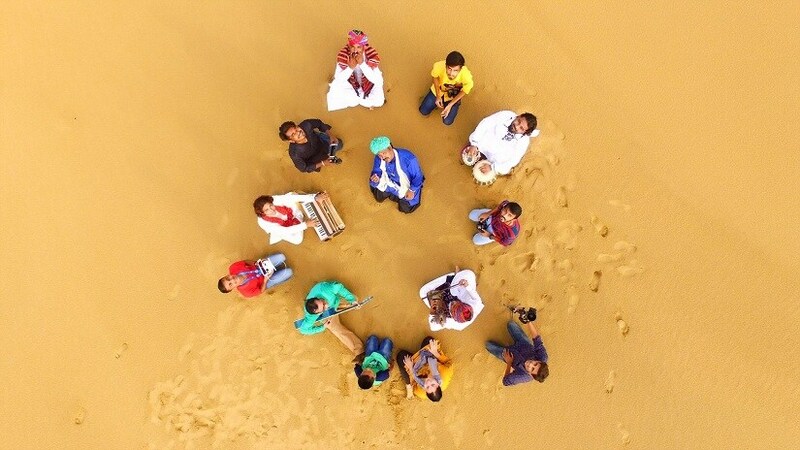 "For more than sixteen generations, we have been the only music community to have practised this form of art across Rajasthan and Sindh, in places like Amarkot, Tharparkar, Barmer, Nahur, Bikaner, Jodhpur and Jaisalmer. Originally, our patrons used to be Hindu Rajput kings; we used to perform at their royal mehfils or what we call kutcheri. We were the royal Khan sahebs of the king's court. The Rajput rulers played a huge role in keeping our music alive over the years," says Khan. He particularly mentions the contribution of the Padma Shri and Padma Bhushan-winner and ethnomusicologist Komal Kothari, whose research on the folk music of Rajasthan brought the Manganiyar community to the fore. "He was the person solely responsible for taking our art from being confined to our village, to the district, to the state and later to national and international platforms," says Khan, "I think it was during the period between 1964 to 1976 when my father Ustad Rana Khan accompanied him on various trips to folk festivals in Europe, Japan, and America among other countries, where other folk artistes presented their indigenous music." In today's times, when notions of nationalism and patriotism are often enmeshed with religion, the Manganiyar art form stands clear of any such baggage. "Sufi saint Bulleh Shah had said: 'Allah di jaat fakir' – music is nobody's personal property. In our village Sado, there are 60-70 Manganiyars (Muslims); the rest are all Hindu. From my earliest memories, I remember them celebrating Eid with us. When I was a kid, we never knew that festivals such as Holi, Diwali, and Teej belonged to them and other festivals belong to us. In my own house there is an idol of Mata Rani Bhatiyani (a local deity considered the Mother Goddess). We worship gods of both religions. Our music is just about the seven notes and it isn't inclined towards any religion or political party," Khan explains. Carrying the legacy forward comes with a lot of responsibility and is an outcome of years of diligent practice and dedication. When speaking about the preparation and the methods through which he honed his skills in folk music, Khan points out those aspects where it bears resemblance to classical art and where it deviates from it. "Like Hindustani classical, we also have the aalaap, murki, taan, gamak. 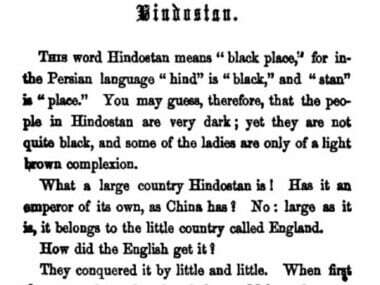 However, our music, also known as 'jangra', lays stress on the doha; we don't have the bandish in our form. While learning, we begin with small, popular songs, and then get into more rhythmic arrangements. Then we learn the dohas of ragas; there's one for every raga — whether it is Khamaj, Sorath (Des) or Bhairavi, which we often call 'Bhairavi sada suhaagan'," says Khan. Speaking further about the arrangement of a folk performance, Khan adds, "We start with an aalaap, then we take a doha of that raga, and then we come to the song, which could start with a slow pace and later become faster. Then there's also the jugalbandi of instruments like kartaal, dholak, kamaicha, morchang and bhapang. We also improvise a lot; sometimes we sing a particular word in different ways — in different rhythms, using taan, murki, coupled with a jugalbandi with the dholak." Each folk song is based on some raga — 'Nimbooda' is in raga Bhairavi, 'Raja Rani' in Yaman, 'Kesariya Balam' in Maand, to name a few. Over the years, many folk songs (some of which are originally Manganiyar songs) have been revamped for commercial albums or film music. Some examples are 'Holia Me Ude Re Gulaal', 'Deta Jai Jo Re' (from Bade Miyan Chote Miyan), 'Chudi Jo Khanke' (from Falguni Pathak's album), 'Kesariya Balam' (Lekin, Dor), and 'Pallu Latke' (from Nauker, Shaadi Mein Zaroor Aana). Has this commercialisation affected the art form and its consumption? Has it affected their livelihoods too? Khan says, "Our music, our art is above and beyond our own lives. I am not singing for fame, I am singing to carry on my father’s legacy. I was the first among the Manganiyars who sang for Bollywood ('Baaware' from Zoya Akhtar's Luck By Chance, 'Chakora' and 'Aave Re Hichki' from Rakeysh Omprakash Mehra's Mirzya), but many of our folk songs have been featured in many films. I think we should be given credit too, because it is our music, our tunes, our compositions, and they have fared well. "The youngest generation of the Manganiyar community is exposed to so much. They watch TV reality shows and want to participate in them. They get selected. They start with folk songs and then completely forget it and start singing film songs. That's what bothers me. Reality shows are short term. No one is stopping you from participating in reality shows, but don’t forget your roots. It has taken generations of artists for our music to reach global platforms," says Khan. Not many know this, but Khan has been a percussionist and spent a considerable part of his life in Belgium. 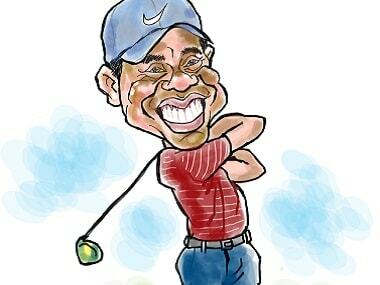 "Since childhood, I have been very sharp when it comes to rhythm. I used to listen to Ustad Zakir Hussain's tabla and would try to emulate the same rhythm on the dholak. I think it was in 1999 that I became a part of Arno Azouz's music troupe which went on a musical world tour, starting in Europe. We went to France, Spain, and Hungary for performances, but Belgium was where we would rest." Khan also says that his experience in the West has added to his musical sense. Having spent time with fellow musicians from various countries, he has been part of many cultural exchanges. He recounts, "I have worked a lot with flamenco artists. While touring Hungary, I realised their music, culture and even language has stark similarities to our language, Marwari. Apart from that, I have also worked along with some Irani musicians; I learnt their language and sang typical Iranian folk music which was another amazing experience."